HMRC have been defeated in yet another high profile IR35 case, at the cost of the taxpayer, bringing the total lost cases to five out of the six IR35 cases that have taken place since the introduction of IR35 in the Public Sector in April 2017. The fact that HMRC have repeatedly lost makes it clear that they simply do not understand their own tangled web of self employment law. 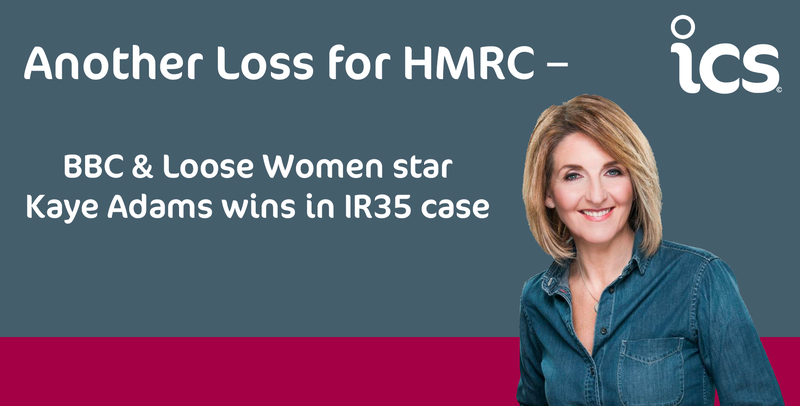 Broadcaster and journalist, Kaye Adams, has successfully appealed a challenge to her self-employed status under the IR35 rules. The key to the case is that alongside her work for the BBC, Adams’ had many other engagements which highlighted the fact that she was in business of her own account. Despite the win for Adams, there were factors highlighted in the case of which contractors should take note. The judgement deemed that Ms Adams’ substitution clauses was meaningless in that, although included in the 2016/2017 contracts, she would never have been able to send another individual to provide services to the BBC. In addition, the judgment set out that she did not run any financial risk and, most notably, that there was in fact mutuality of obligation between the parties. This was demonstrated by Ms Adams receiving payment even in the absence of the provision of services. It is interesting to note that, (as in Hall V Lorimer) the judge actually came to his main conclusion without relying on the terms of the contracts at all. This is why it imperative that contractors review their working practices and the actual basis of the relationship they have with their clients. If it is clear, both parties don’t believe clauses within a contract actually take place, then the likelihood is they will be disregarded if they come under review for IR35 purposes. It is clear from the cases HMRC are pursuing that they are still failing to look at the overall relationship between the relevant parties – instead becoming fixated on one element of the contract or working practices.